The world wide web is still one of the best places to share documents and files with colleagues and friends. But sometimes, you want to share files and don’t want anybody else to see or find out what you’re up to. A popular filesharing site that offers file uploads of up to 500MB in size. Signing up gives you a 30-day limit and unlimited disk space. A completely anonymous file upload platform. Users can upload files up to 5GB in size with zero logs, speed and bandwidth restrictions. Absolute privacy is guaranteed, and uploading is as easy as dragging the file and dropping it in. SendSpace is great for speedy uploads, with maximum upload size set at 300MB. Users have the option for simultaneous uploads and the ability to track your files. Is similar to Snapchat but with a few more features. You get to keep your identity secret and have all uploaded files auto-deleted after it has been downloaded. Users can upload 100 files per day with max filesizes of up to 5GB. Mozilla has come up with their anonymous file sharing platform with max capacity of 1GB. There won’t be any file logs or cookies, and you can delete encrypted links anytime. When you need to share documents and important files not exceeding 50MB, Tiny Upload is your answer. Get unlimited file uploads with no restrictions. You control how long the file stays in their servers as well. 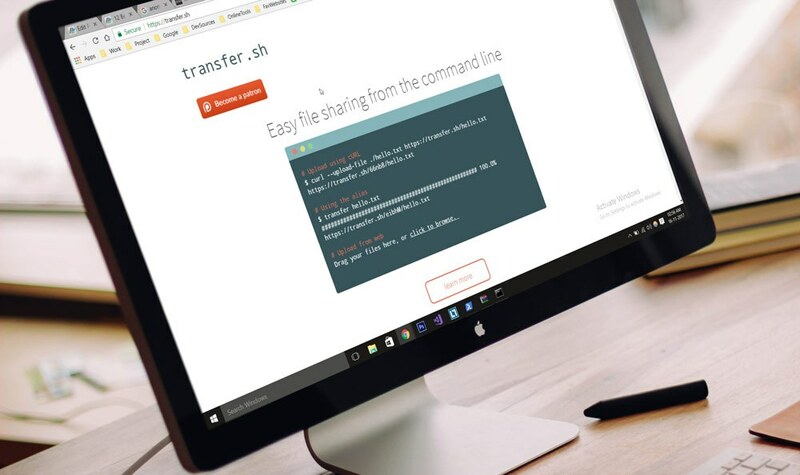 Created for developers, Transfer.sh allows users to upload files using command lines. The site’s cURL technology gives you maximum upload speed and efficiency. Expirebox offers unlimited uploads on files that are up to 150MB. Files can be shared via email or social media platform quite easily. For total anonymity Expirebox deletes all files after 48 hours. A catchy name for a filesharing platform, Ge.tt give you unlimited server storage and upload limits of 250MB. You also get a 2GB storage space, unlimited upload features and auto deletion after 30 days. File Dropper gives users the ability to share files up to 5GB in size without limits. What’s more, you enjoy lightning-fast upload speeds and can set the timer to expire for added security and privacy.